Today our group split in two so half of us could go to the roof and install the second probe box, on the West side Greenroof 2, and CR1000 with a Compact Flash Module and the new lightning rod for the weather station while the other group work on the programming code for the website. 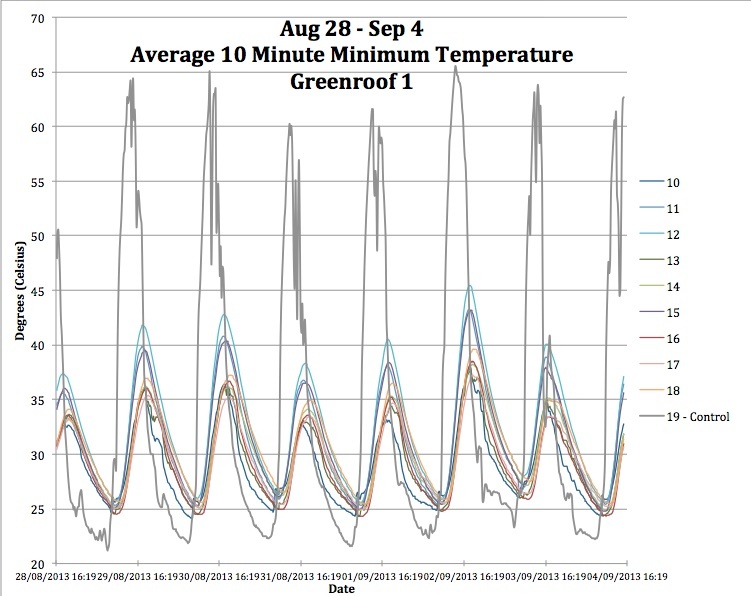 The programming group worked on combining Dr. Volder’s code for Greenroof 1 with the sample program from Decagon for CR1000s. The roof group tried to install the CR1000 the same as Greenroof 2 but found that our box was slightly smaller than the other one. We had to rearrange the placement of the circuit but the functionality remained the same. 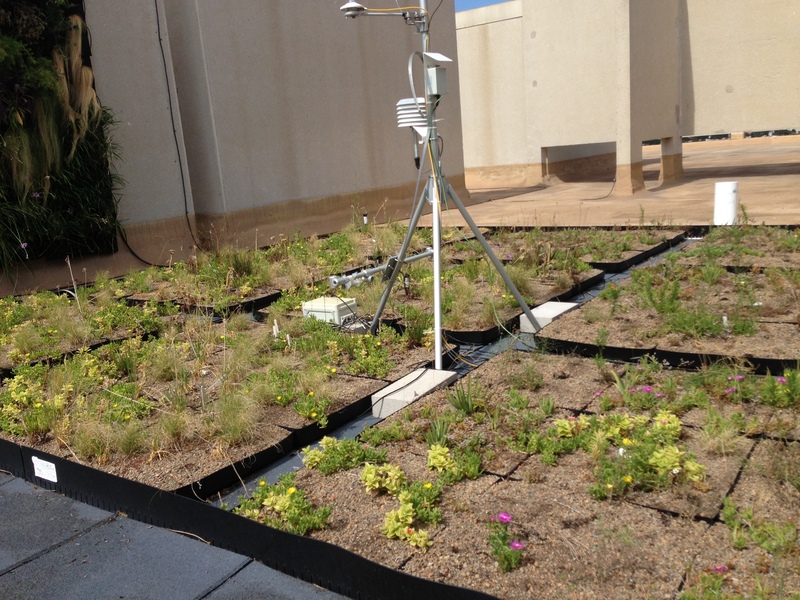 We also installed our new camera on the Greenroof 2 box for surveillance of the Greenroof 1 shadows. 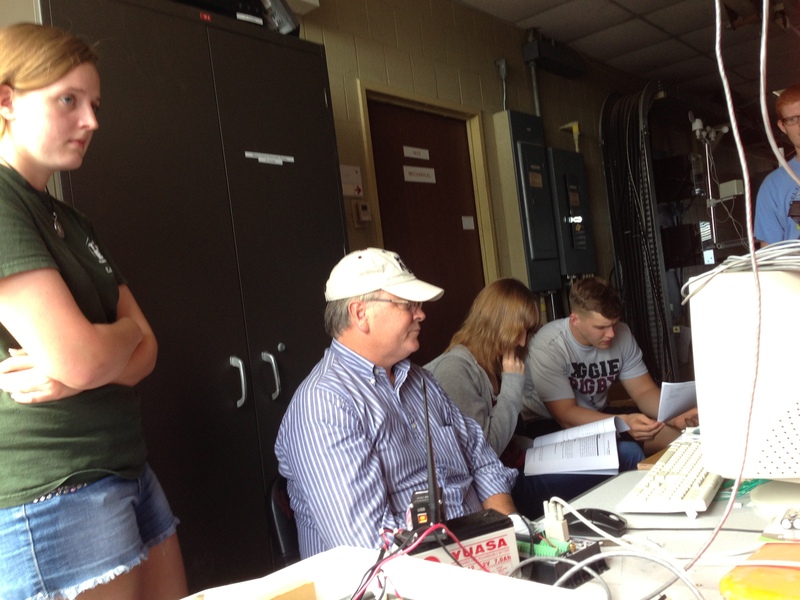 Kat Cobb, Dr. Conlee, Lauren Seidensticker, and Robby Chilton programming the CR1000s. 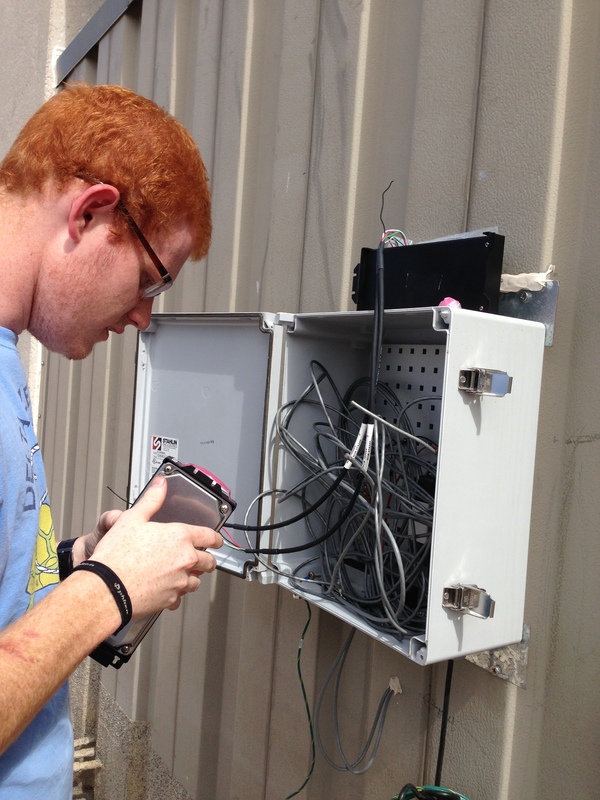 Garret Sims installing the West side probe box. 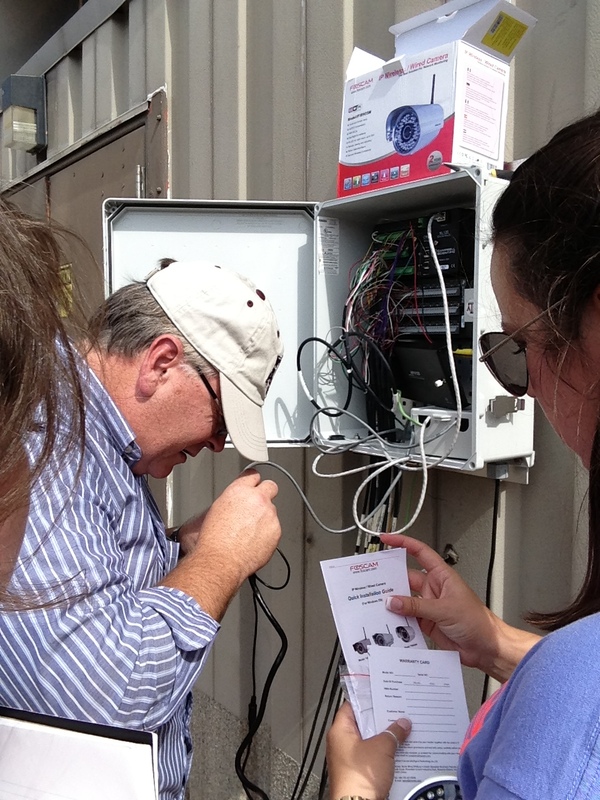 Dr. Conlee, Kathryn Westerman, and Logan Gerber-Chavez installing the West side probe box. West side probe box installed. 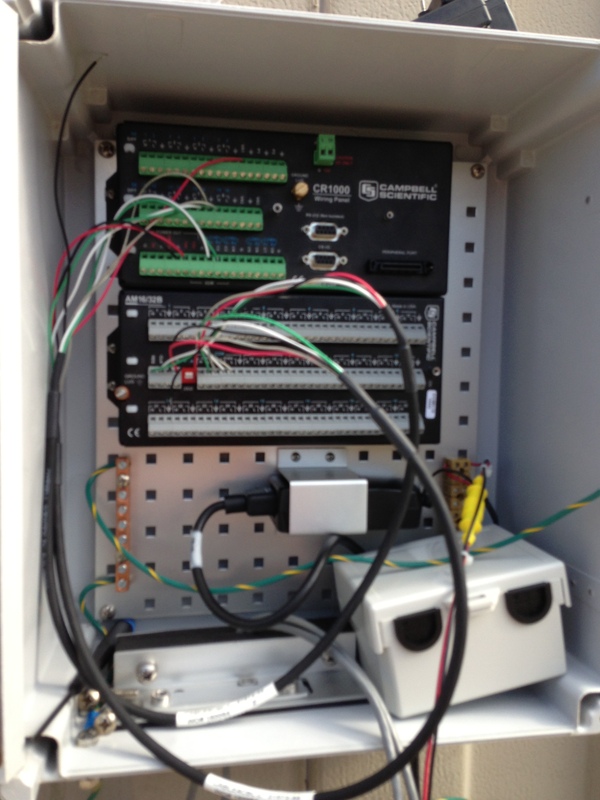 Last week after installing the control probe we took a look at the temperature data. Three of the probes temperature came up above the others by 4-5 degrees Celsius. We wanted to check the rest of the data over to see if the strange anomaly in the top right corner was due to building interference or shadows or probe malfunctions. We waited a week to collect the data including the control probe. From the graph we see that all of the probes still collapse within a degree in the mornings for the minimum so the difference is probably not due to probe malfunctions or building interference unless it is just a daily problem but it could be due to shadows. 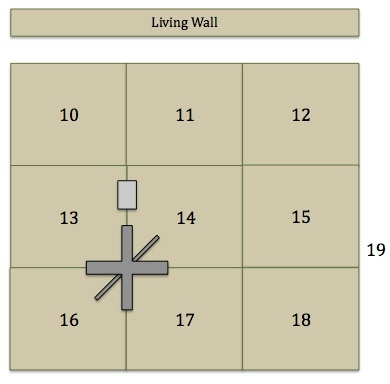 We would like to install a surveillance camera to monitor the shadows throughout the day.